We had a good turn out for our Kerran Mudgway Memorial Club C'ships at the weekend with numbers up on last year. As usual, it proved to be a very interesting and challenging event. It always surprises how different an afternoon start is and there's nothing like running into the evening sunset. Next year we may have to start a little earlier (or issue glow sticks). A huge thank you to RD Lisa Payne and her boys, who were as busy as all afternoon and well after dark. Lisa has done more than her share of RDing this season and I hope you all thanked her before heading home. Tatiane & Matt Kelly and their boys also deserve a big mention. They towed the trailer down and back, shopped for fruit & ice and assisted with a zillion other jobs needed on the day. Clare Labowitch and Tina Sanderson again volunteered for check in duties, thank you both. Lyn Farrier managed the water station (and a lot of helpful little hands), the water and ice cold sponges much appreciated by competitors! A big vote of appreciation to Tom, Josh and Joel who came down to support at the event and ended up as transition guards and eyes and ears on bike course turnaround. Thanks also to the Surf Life volunteers and St John Ambulance who were on hand to ensure the safety of our participants. 2. As this is an away event, we would appreciate early receipt of entries to assist with organising. 1. Great to see old school honesty in play at the weekend in the form of Andrew Hardy informing us he was to be DQ'd for short cutting the course not once, but twice, after using incorrect entry into T2 and finish lines. There was a time when we all did things like that and it helped make our sport great. 2. On the flip side of the coin, we have noticed some repeat offenders ignoring drafting & blocking rules which are all in place for fairness and athlete safety. So, to make sure you are all on the same page, please take a few minutes to view this. 3. Note draft zone is 10 metres with 20 secs to pass in events up to and including standard distance. 4. Noticed former member Bob Martin won his age group at Ironman 70.3 Port Macquarie at the weekend. 5. Dag of the Year nomination (nameless at this stage) in from Saturday's event. It's getting close to that time of year again, so if you have any nominations of daggy acts committed during season 2016-2017 please email darwintriclub@gmail.com. All nominators will remain confidential. 6. Committee is still looking into a suitable course for a club event (offroad duathlon likely format) in June to be added to the calendar. 9. 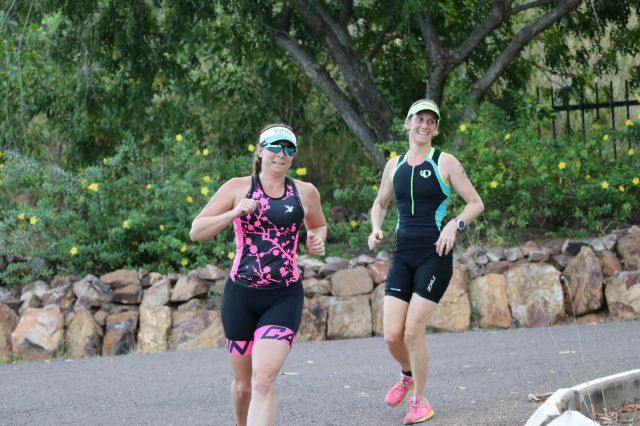 Good luck to those taking part in the Careflight Kakadu Triathlon or Duathlon at the weekend.